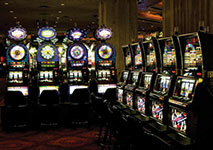 One of the casino games which is very popular among all types of players is video poker. Its gameplay is very straightforward but at the same time challenging which makes the game a great source of entertainment. Video poker is so widespread that you can enjoy it in various places, including land-based and web-based casinos, supermarkets and even restaurants. What makes this game so appealing and interesting is the fact that it requires not only luck but also skills. You can influence the outcome of every hand significantly if you use a reliable strategy thanks to which you can make wiser decisions whether to hold or substitute your cards. This way, you can decrease the house edge and improve your odds of winning. However, you should know that this is not always the case as some places offer the so-called video lottery terminals which work on a completely different principle. They don’t give you the chance to have an impact on the final result as they don’t use the same mechanism as video poker machines. If you love playing video poker, then you should be able to tell the different types of video poker apart as this way you will be able to play on only beneficial machines. 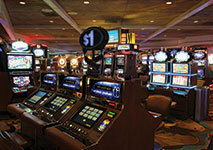 The huge popularity of video poker is partly because of the machines the game is played on. The standard video poker machines use a Random Number Generator thanks to which you can rest assured that the dealing of the cards happens completely random. If it wasn’t for the RNG, you wouldn’t be able to influence the outcome of the game with the same success. It is not programmed to follow a particular pattern, meaning that if you win one hand, you can certainly win one more and vice versa. The Random Number Generator is entirely legitimate and it is used by every reputable online casino as it offers a fair gameplay. Thanks to this one-of-a-kind device if you apply an efficient strategy, you can make the difference between winning and losing. The RNG is the main principle on which the video poker machines operate. As previously indicated, it is possible to play video poker on a particular type of machines which differ from the standard ones in several ways. 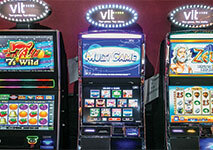 In the gambling world they are known as video lottery terminals /VLTs/ and they are class II machines. 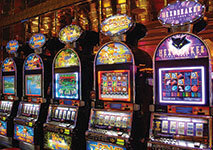 What sets them apart from the traditional video poker machines, is the fact that all of the terminals are connected. By having a common computer system, the video lottery terminals can be easily supervised by the respective gaming authority. The number of winners is predetermined in advance, meaning that these machines are programmed to pay out only according to a preset pattern. Some terminals operate by using a RNG, however more often than not, this type of machines don’t have it. The outcome of the game is in accordance with a fixed pool. As their name hint, the way they function can be compared to a lottery scratch ticket as when you start playing, the machines select a positive or a negative outcome from the preset pool. This pool contains a certain number of wins and losses and after some time, it is reset. In general, in these games you actually compete against others and if you become a winner, you are required to announce your victory. This makes video lottery terminals much more interactive than video poker machines. In order to determine which machines are more beneficial, it will be best to compare both types. Perhaps, the most noticeable and major difference between video poker machines and video lottery terminals, is that the latter doesn’t give you the chance to influence the outcome of the game by applying a strategy. In these games, you rely predominantly on luck as the winner is chosen randomly, regardless of the skills and knowledge one may have. All of the hands you will get during the game are programmed in advance to be either winning or losing ones and no matter what you choose to do, the outcome will be the same. As you might have gathered, this factor puts a lot of players off as it takes away all of the fun of trying to improve every hand. In this sense, the video lottery terminals are almost the same as the slot machines as the only difference is that they are operated by a central computer system. Another significant difference is the fact that video lottery terminals are linked to one another, whereas video poker machines are entirely independent. When you play on a standard video poker machine, you can get a particular winning combination such a Royal Flush a couple of times or you may not get it at all, regardless of how much time you will spend on that machine. The reason why is that the RNG doesn’t follow a pattern as it always deals the cards in a completely random manner. Speaking of this device, it can be considered as another thing which sets these machines apart. Most of the video lottery terminals don’t use this type of mechanism. Instead, they operate by having a fixed number of winners who are selected on a random principle. In general, whenever you play on such a machine, there is always going to be a winner, however you can never figure out who and when. It all depends on whether you will be lucky enough to ‘draw the winning ticket’. Also, bear in mind that your odds of winning are extremely low every time and they don’t change. While it is true that these machines have a preset number of losses, whenever someone loses, unfortunately their number remains the same. Taking into account the above-mentioned information, we can conclude that the video lottery terminals are not as advantageous as the standard video poker machines. Thus, it is best for you to avoid them as your skills and strategy won’t make a difference. However, telling these two types of machines apart can be quite difficult due to the fact that they look very similar. One thing which you can do is to check the gambling regulations regarding VLTs the state you reside in have. It should be noted that the VLTs are not legal in all states. If the case is that the usage of these machines is forbidden, you can conclude that there is no chance to bump into them. However, if this is not the case and you don’t have a clue which machine is a VLT, then you can look for several indicators. For instance, if the machine has a button labelled as automatic hold, then it most likely belongs to this type. Also, if you are deprived of the opportunity to exchange your cards during your last hand, this is often a sign which hints that you are playing at a video lottery terminal. The bottom line is that since video lottery terminals offer games which are predetermined in advance, it is best to avoid them if you are able to spot them. This is the reason why it is really important to look this matter through carefully in order to make sure that you are aware of the main differences between video lottery terminals and video poker machines. Partly, what makes video poker such a great game is the fact that you can have fun by trying different approaches and strategies for your hands. However, when you play the game on a VLT, you are deprived of this opportunity.